Ganeshotsav is a widely celebrated festival across Maharashtra, in reverence to Lord Ganapati, the illustrious son of Lord Shiva and His consort, Goddess Parvati. 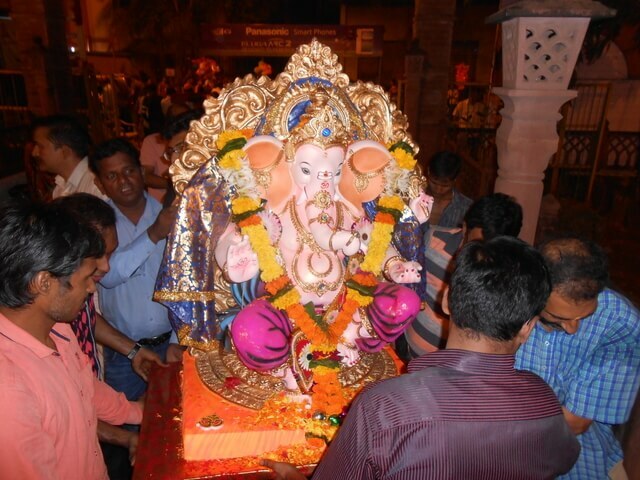 The festival begins on Ganesh Chaturthi, the birthday of the elephant- headed god. This year, Chaturthi fell on Monday, 5th September. 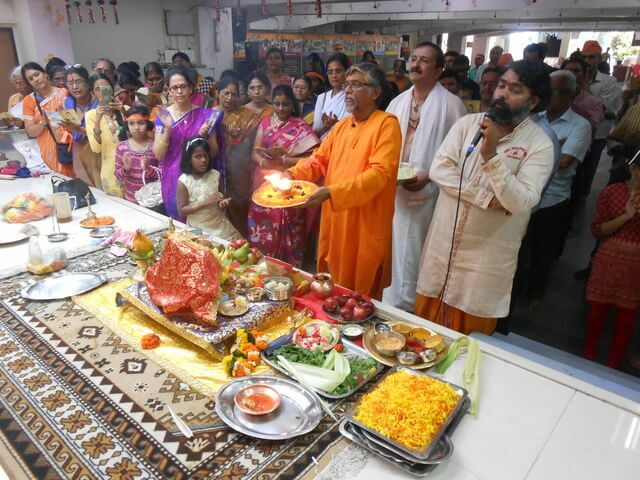 At the Mumbai Ashram, the festivities began with the Ganesha Prathishta, at 10.30 am. Devotees from all parts of the city flocked to have a glimpse of the idol, which was installed in a decorated shrine, in all its splendour. 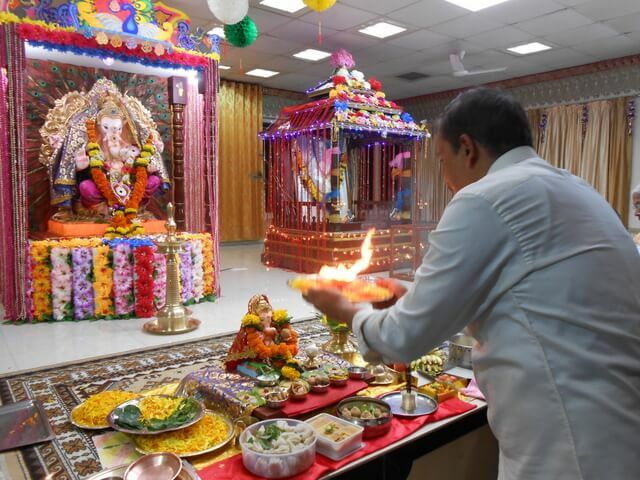 The chanting of the Ganesha Ashtotthram and a few melodious bhajans lent culmination to the morning’s program. The Arati was performed on all 5 days in the morning and evening. Apart from that, devotee groups from different areas held bhajan sessions. Sweets and savouries were lavishly offered to the God of Wisdom.